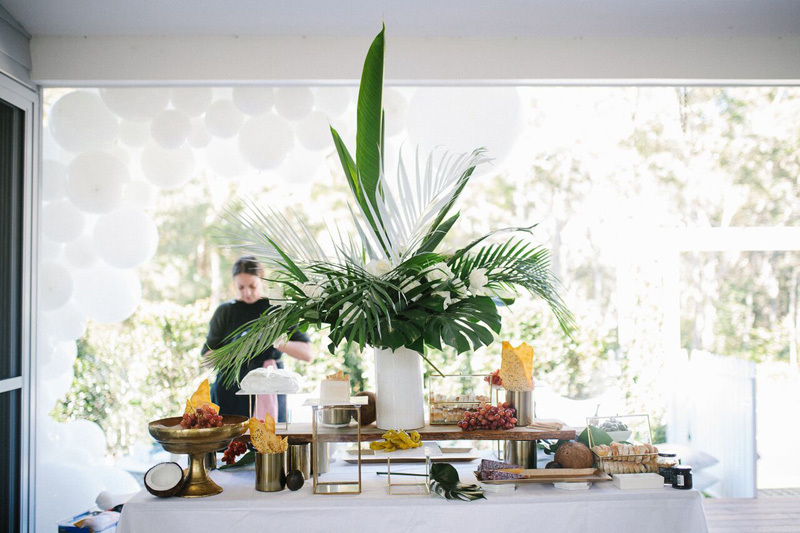 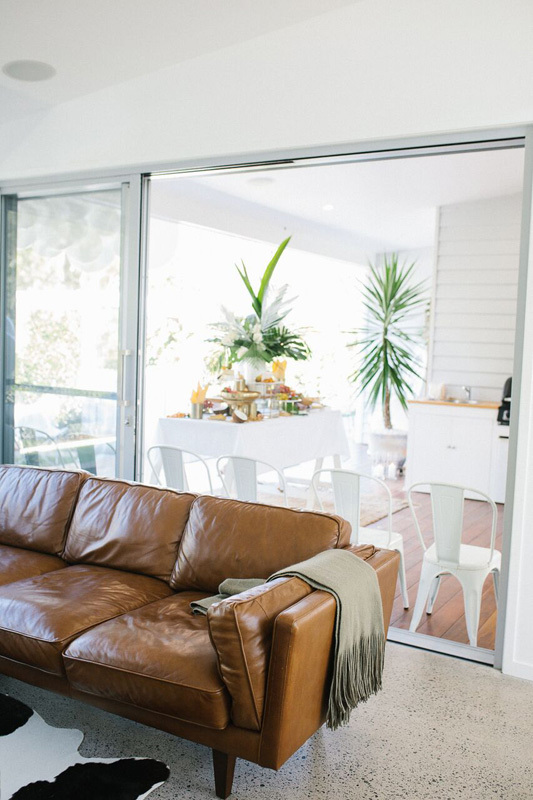 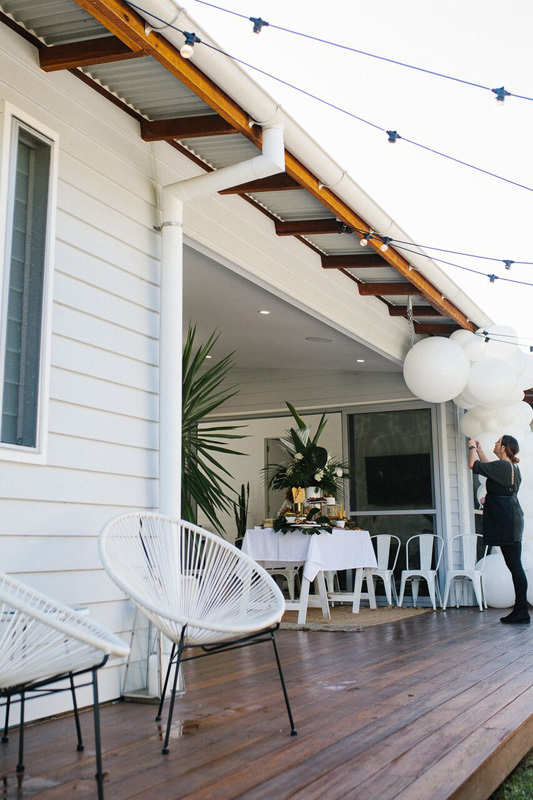 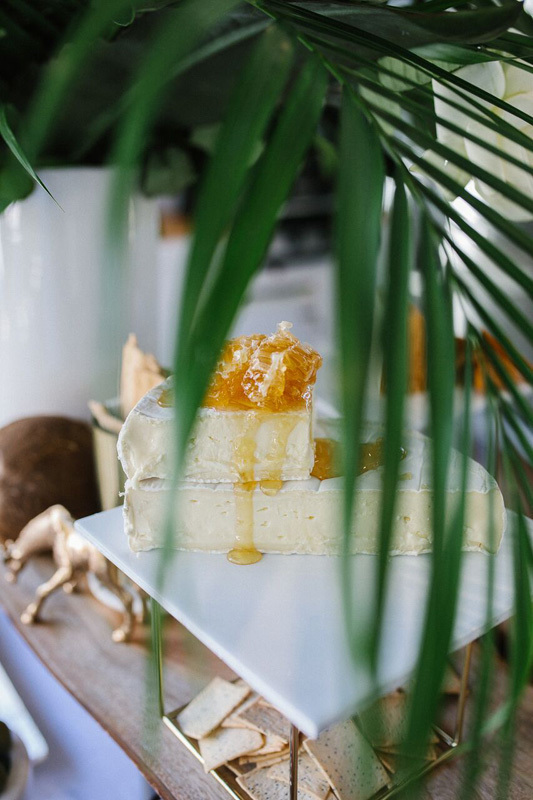 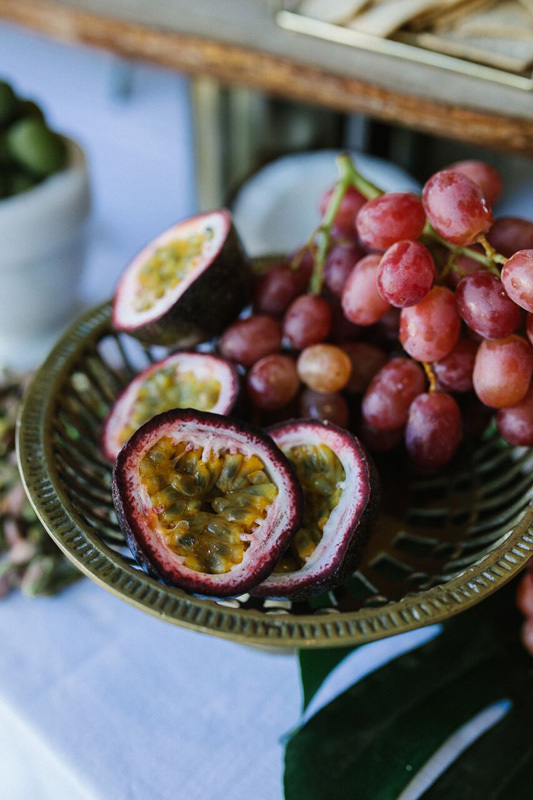 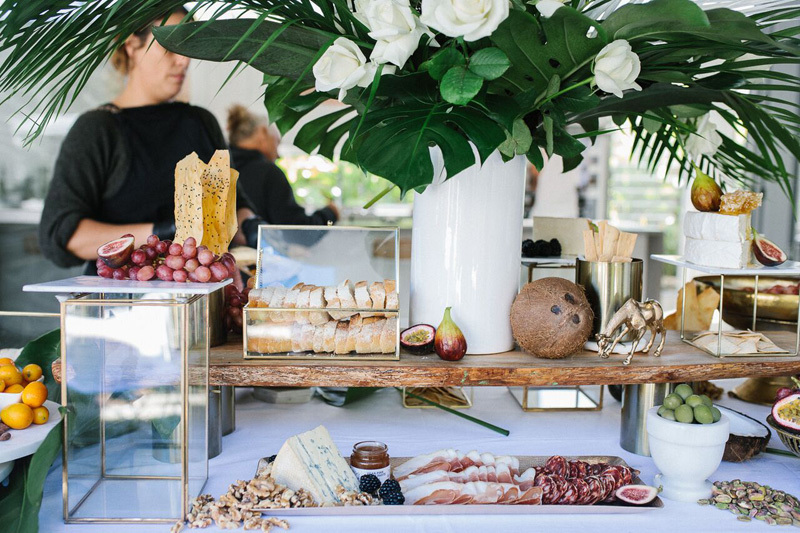 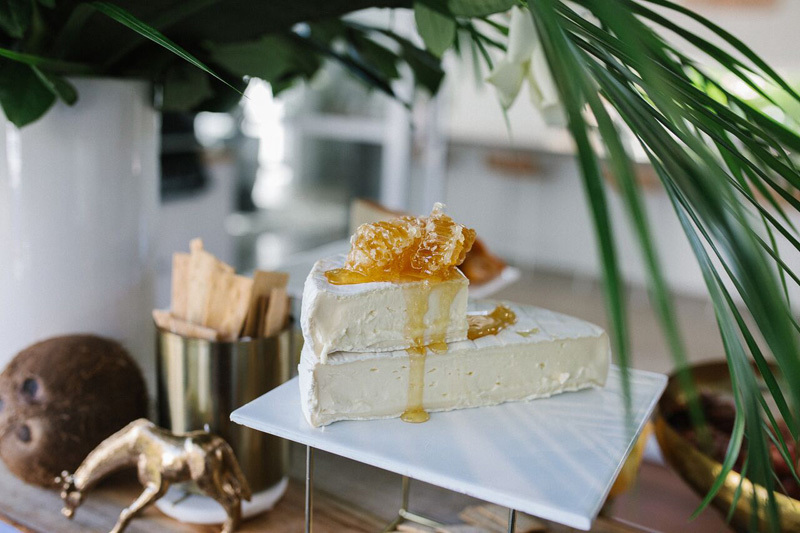 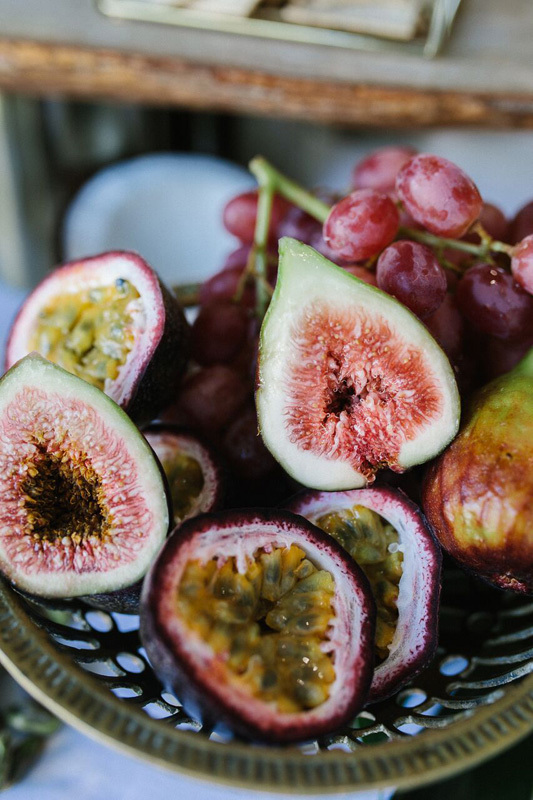 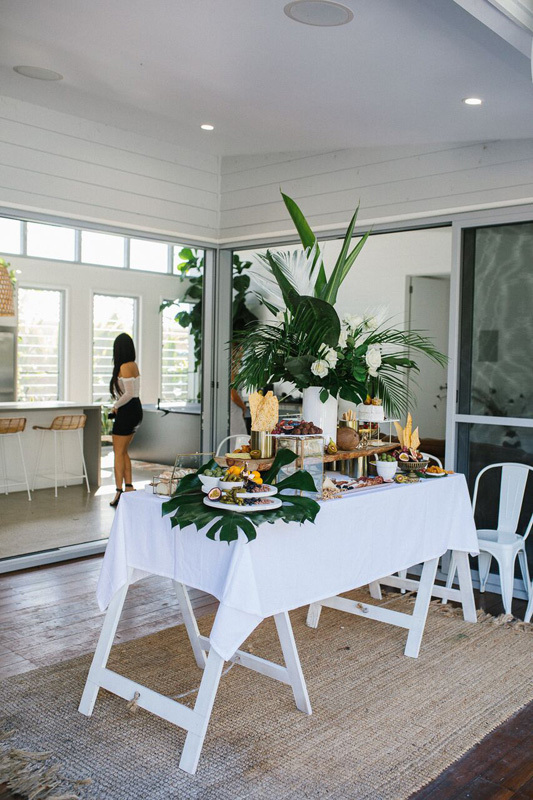 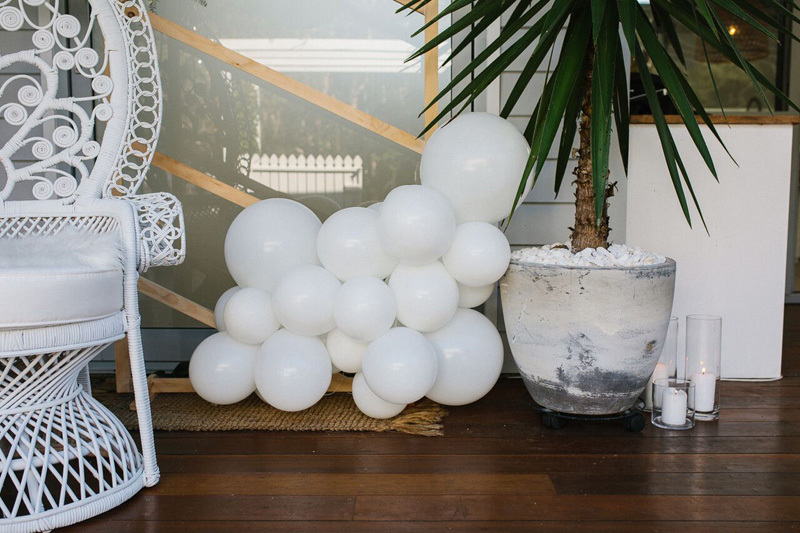 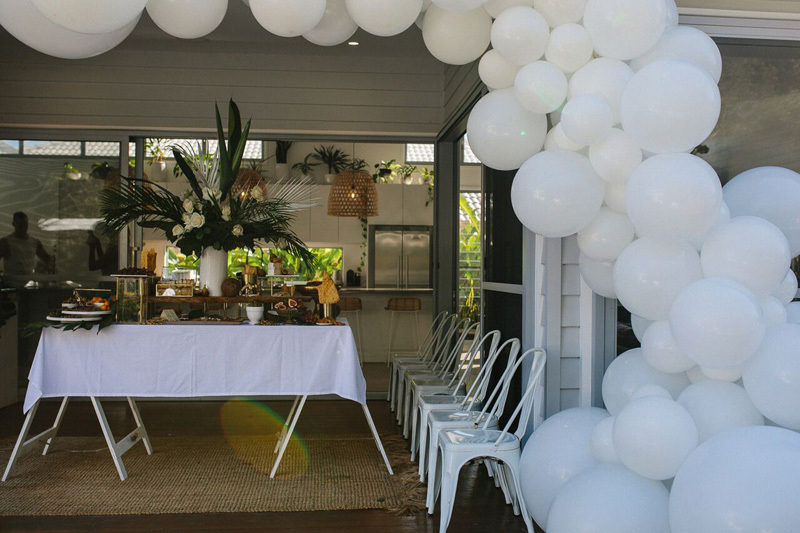 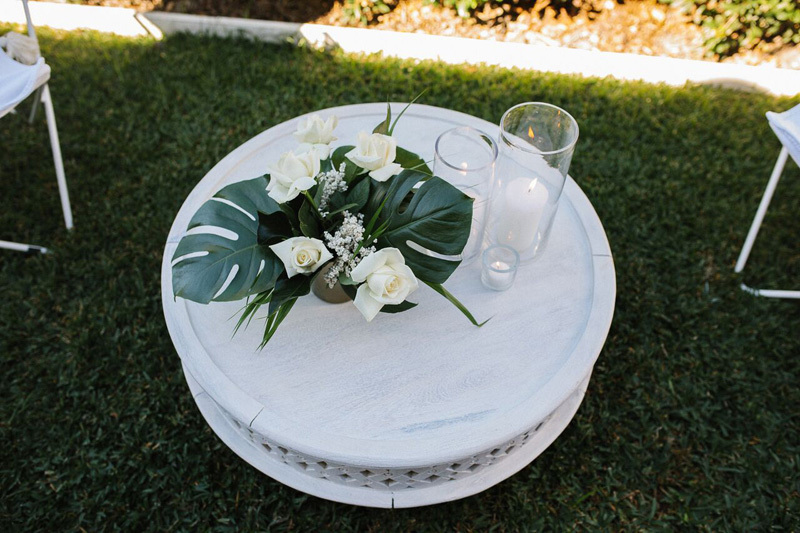 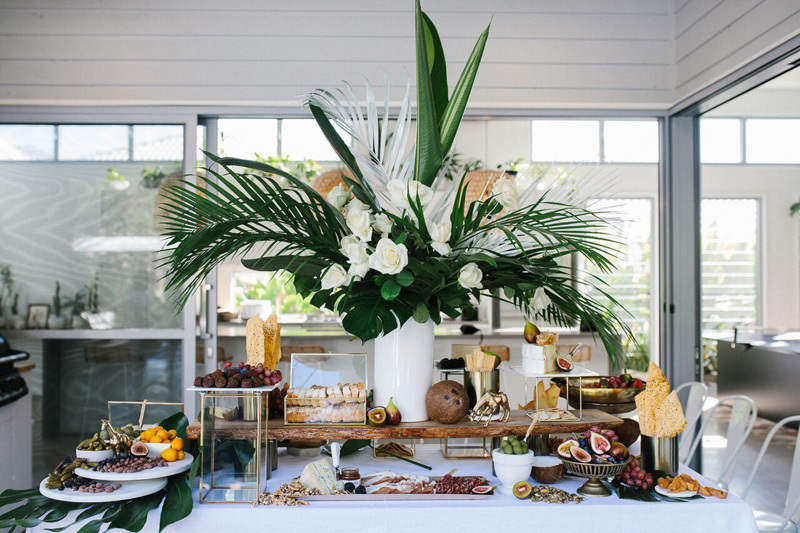 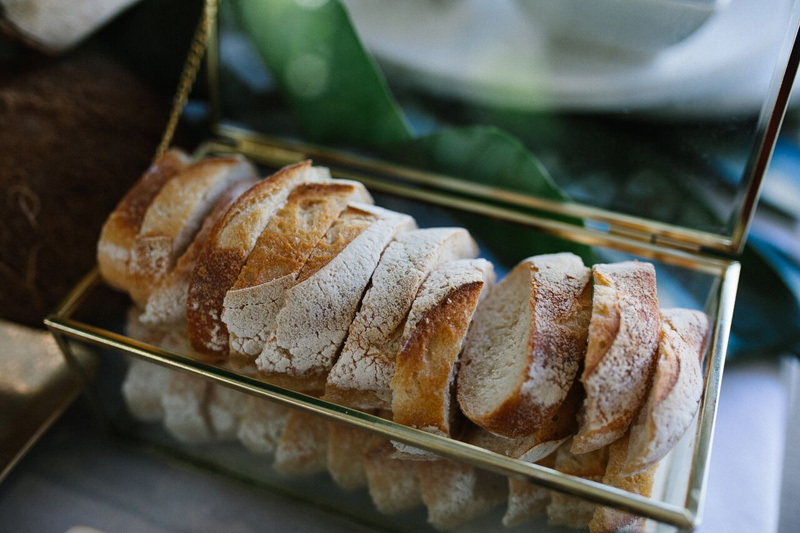 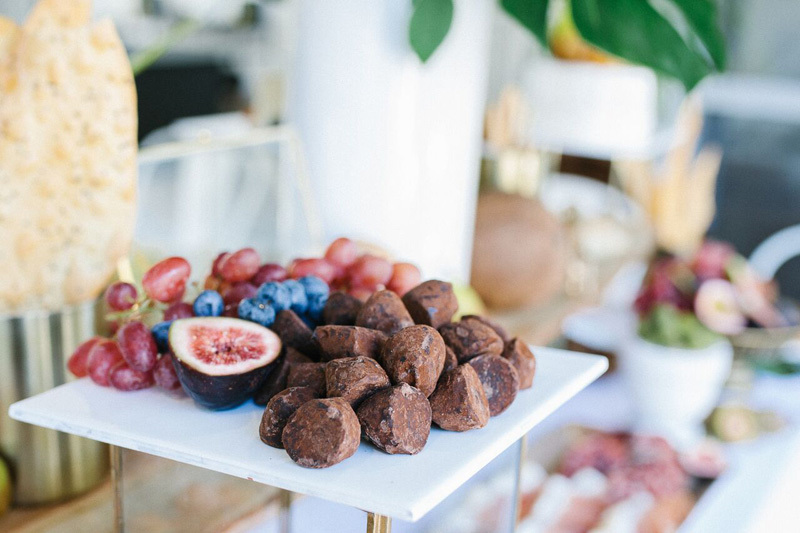 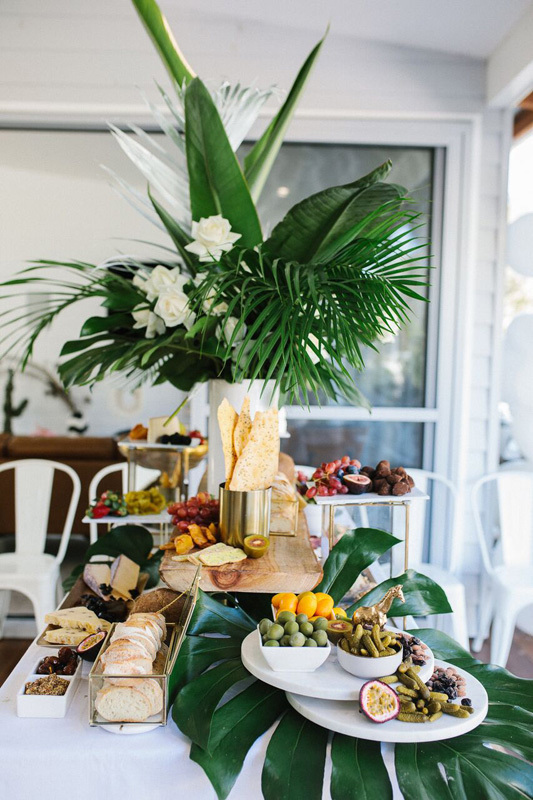 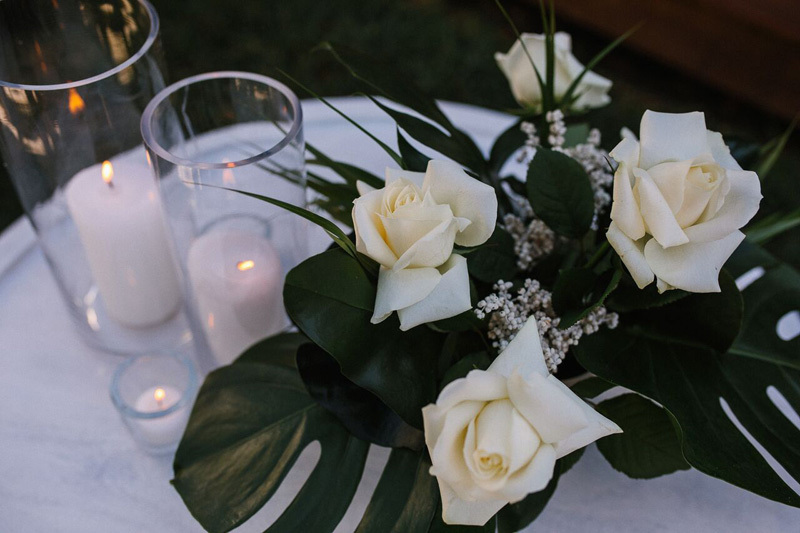 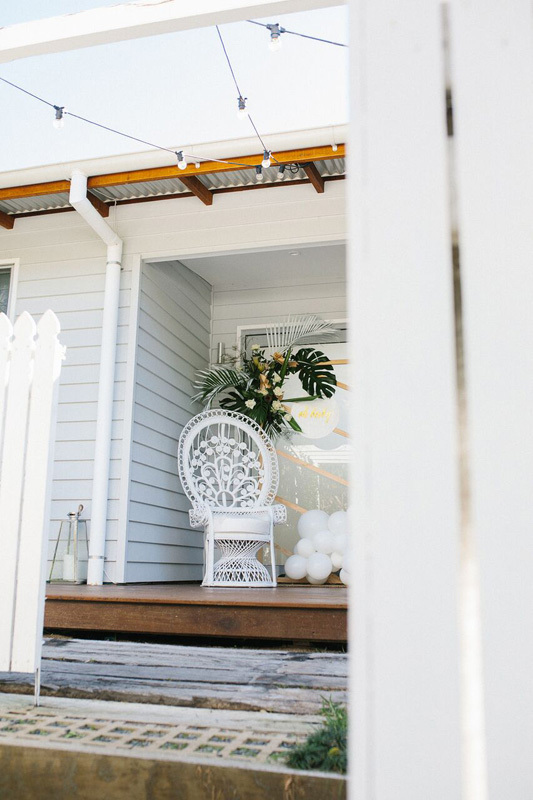 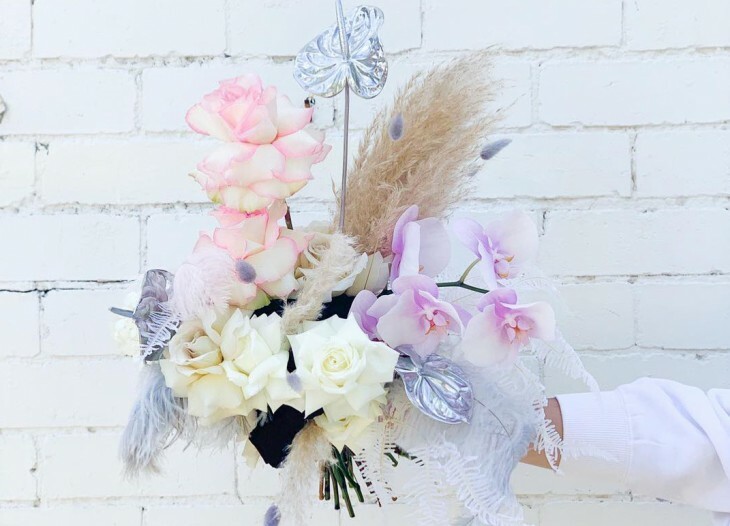 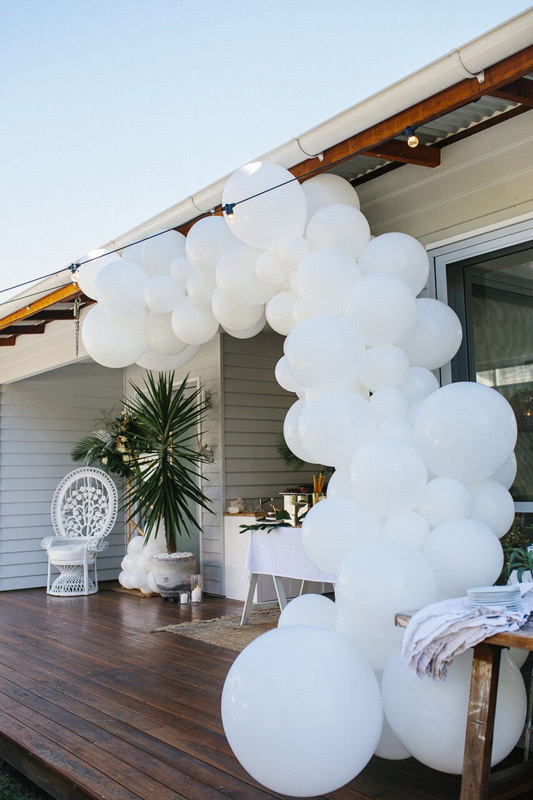 When you live in an area as balmy and beachy as the Sunshine Coast in Queensland, “Boho” is a palpable theme for every kind of event, including a baby shower. 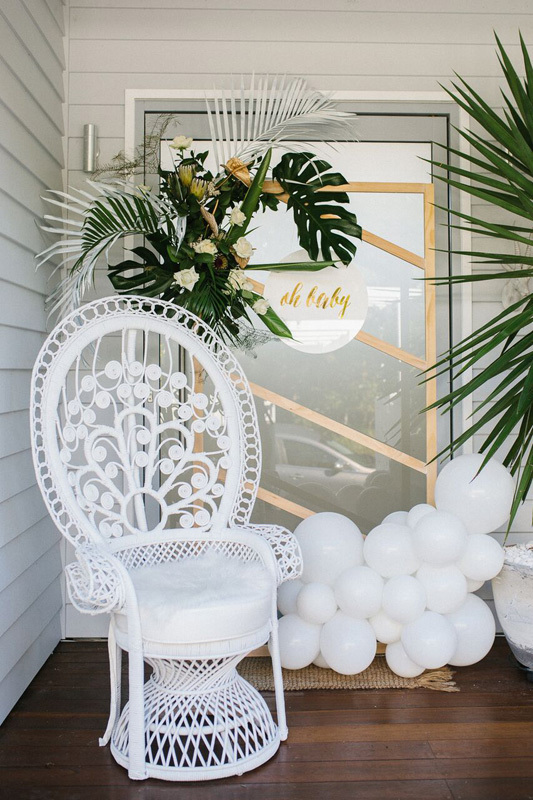 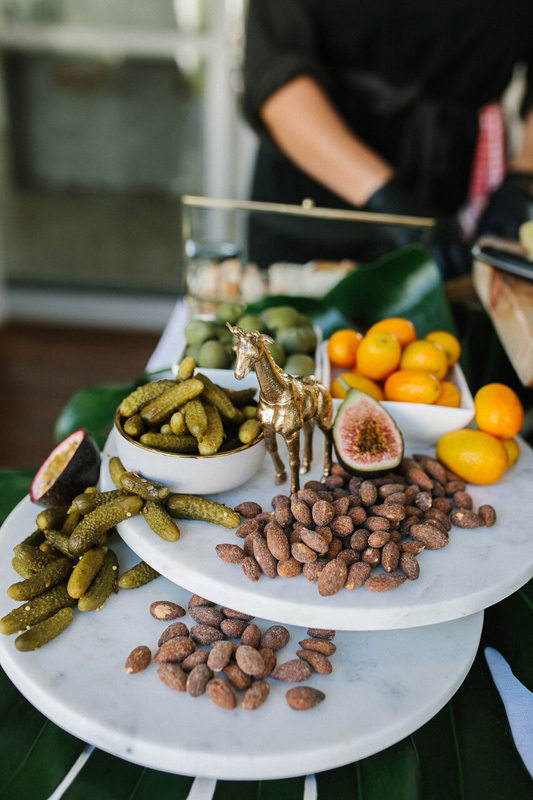 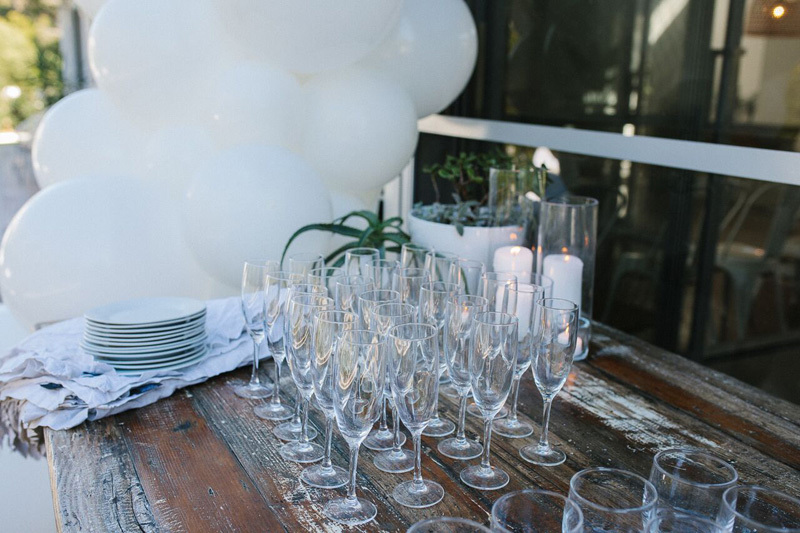 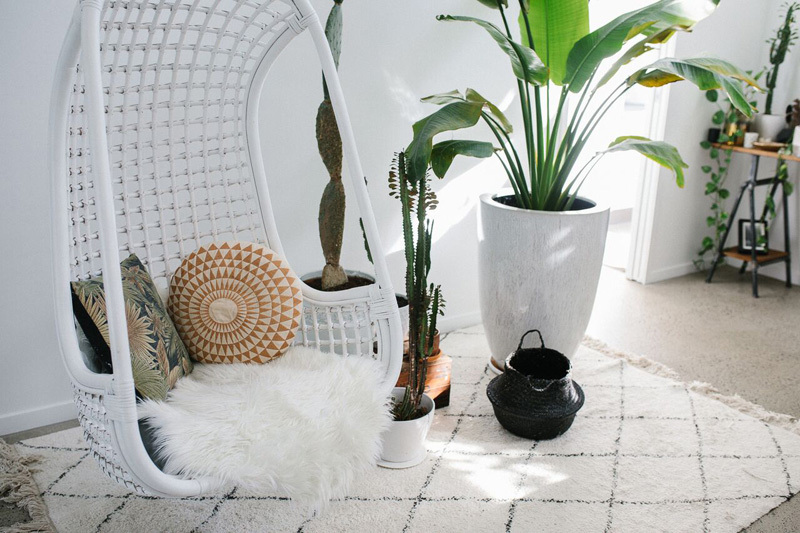 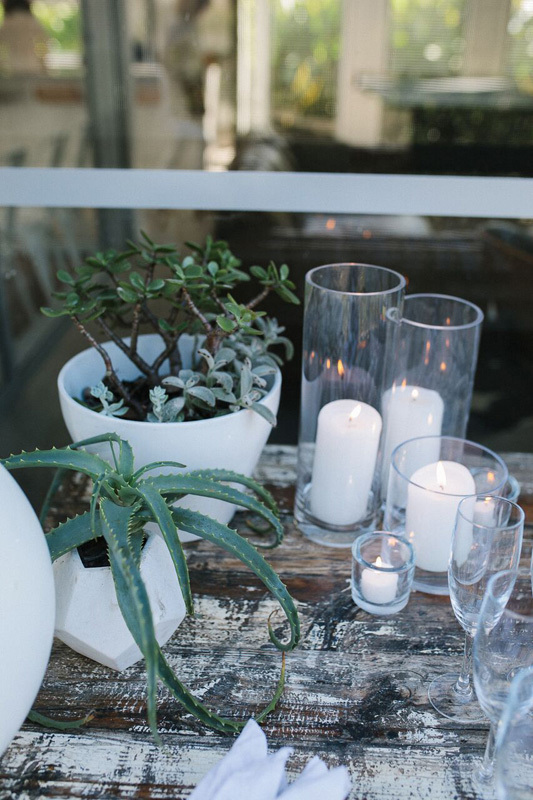 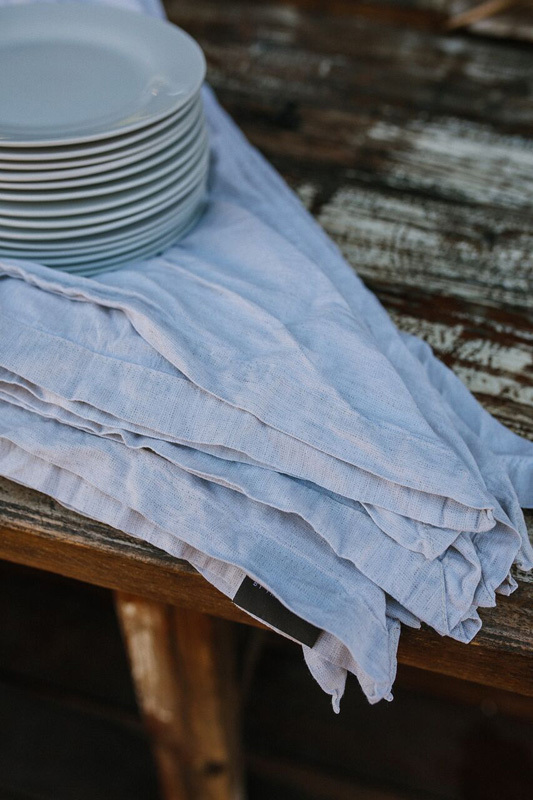 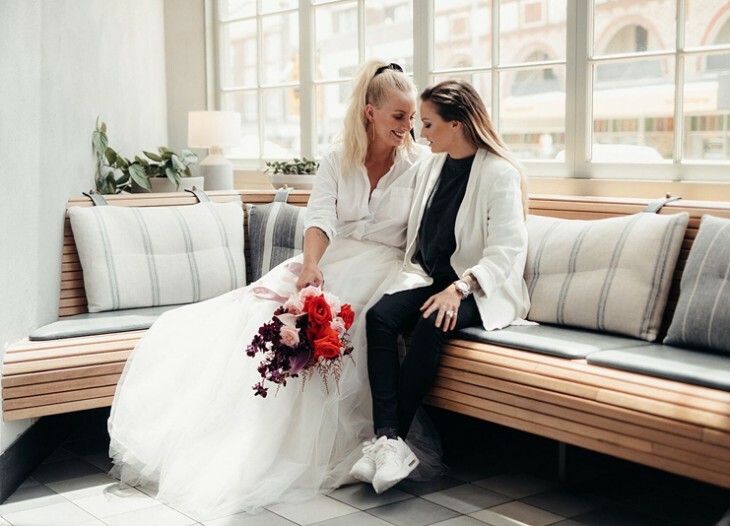 Anna from Made to Match Events pulled together this surprise boho baby shower that is the true definition of “less is more”, and we just can’t take our eyes off these pics. 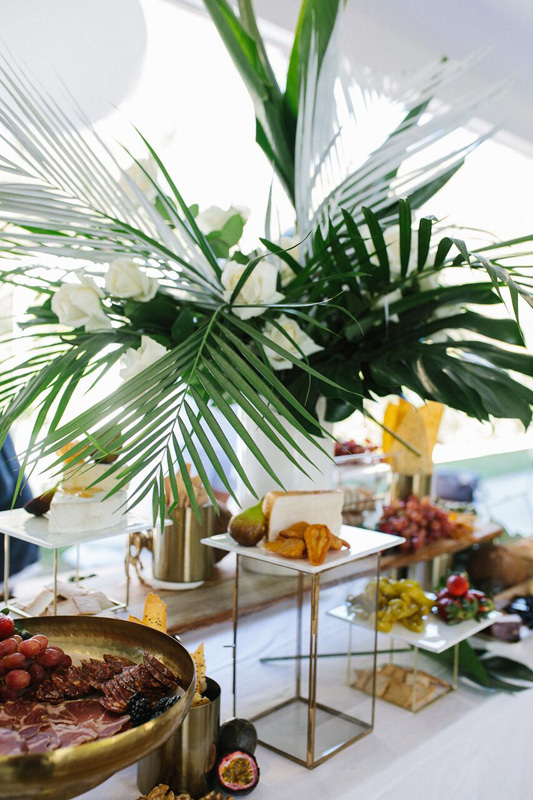 She blended modern boho décor and bundles of fresh foliage and florals to give the event a slightly tropical vibe. 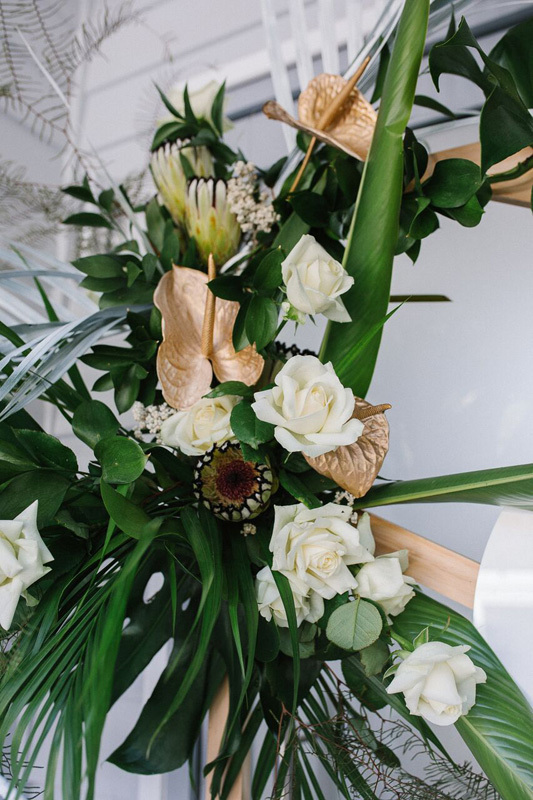 The colours stuck to a simple palette of white, green and gold, and were complemented by subtle raw wooden accents. 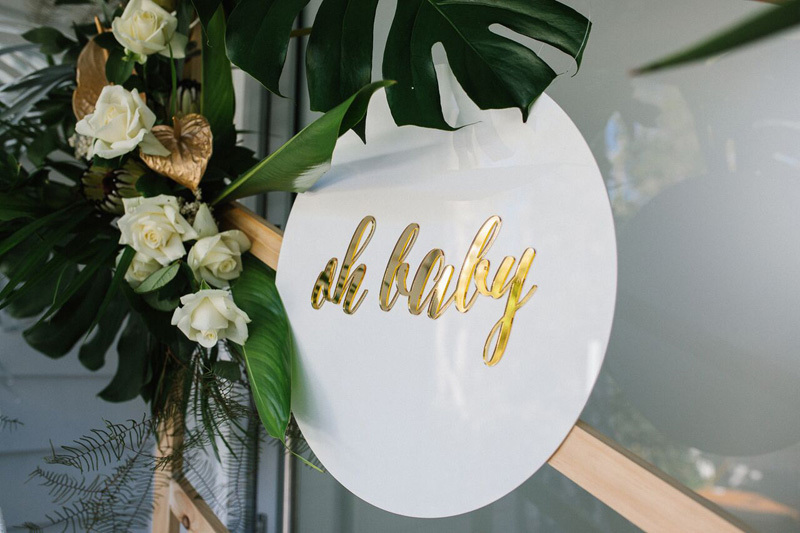 “We designed a white and gold acrylic Oh Baby sign as a focal point that could be used in the nursery after the event,” says Anna. 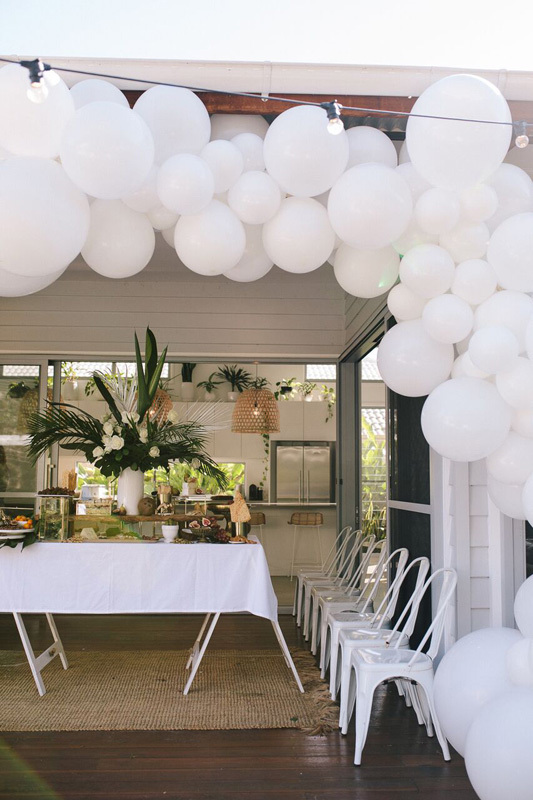 Other elements included a statement white balloon installation, glass cylinders with white pillar candles and a raw panelling backdrop. 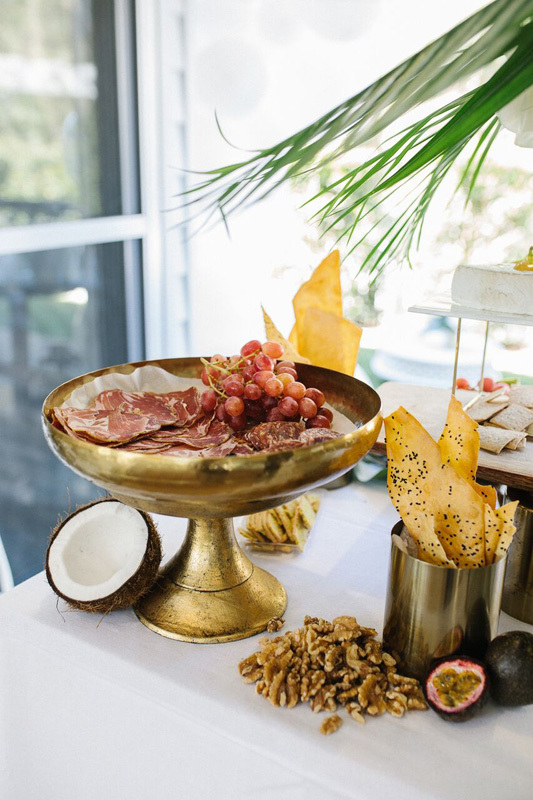 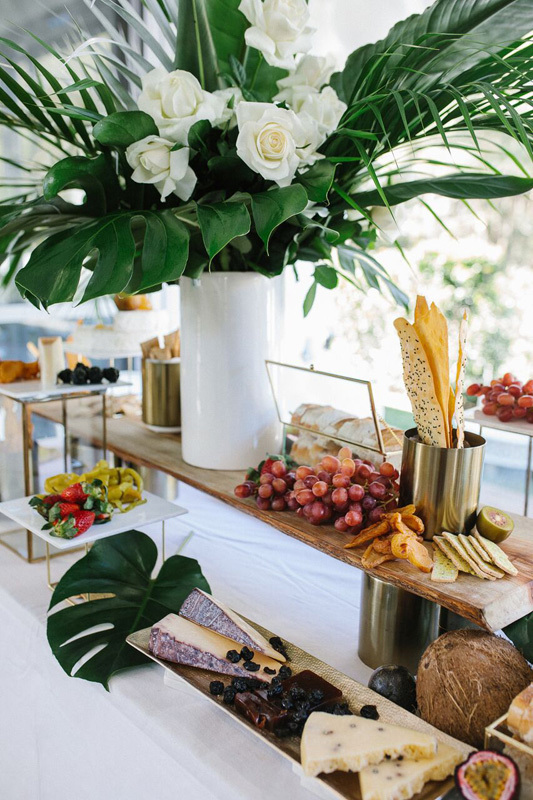 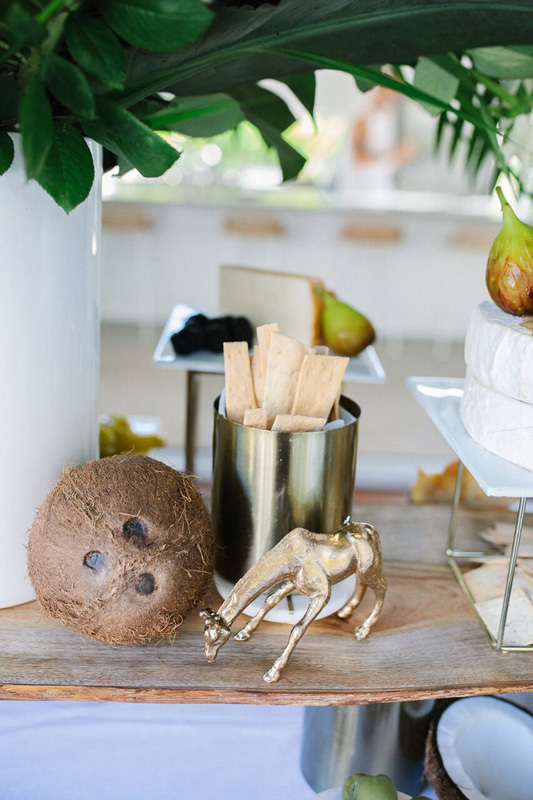 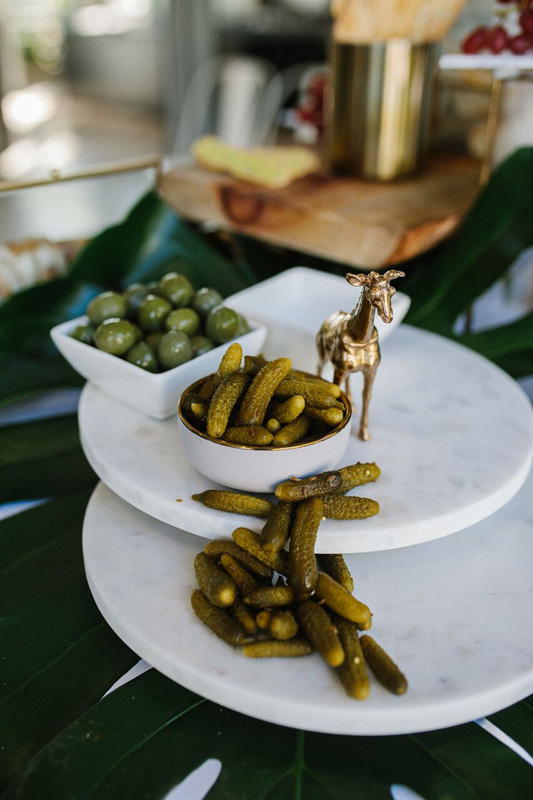 She also placed sneaky mini gold giraffes throughout the grazing table as an extra cute touch. 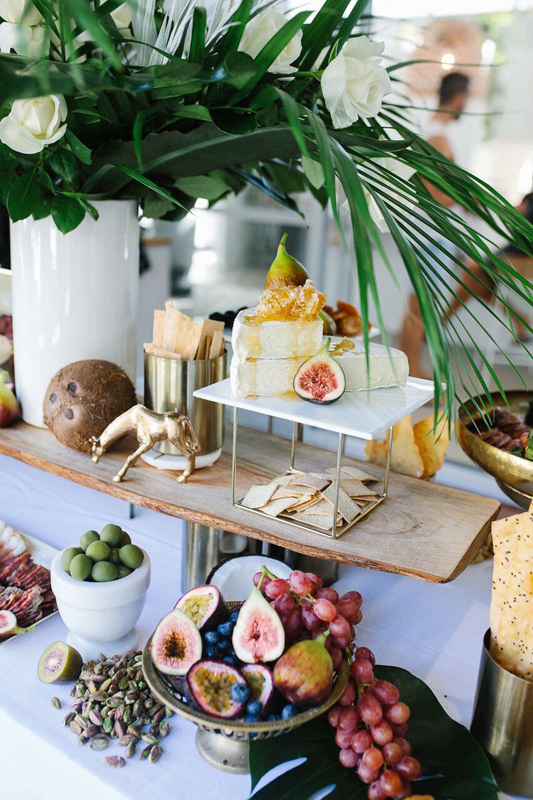 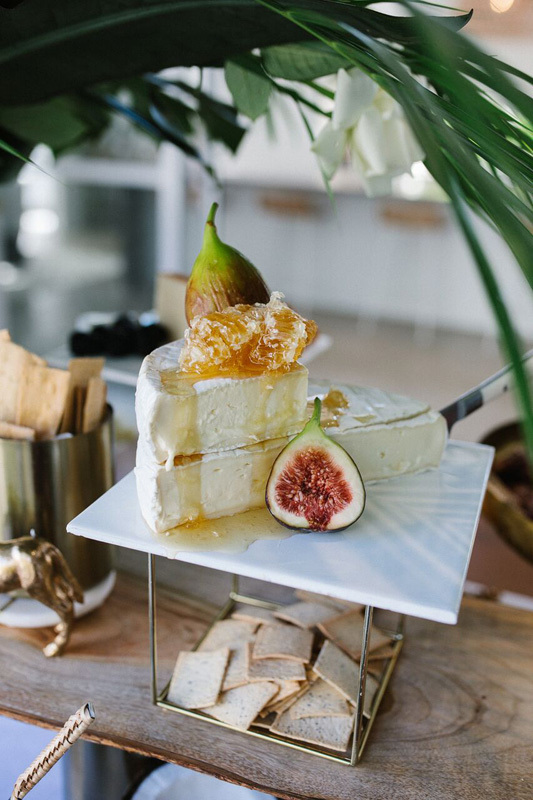 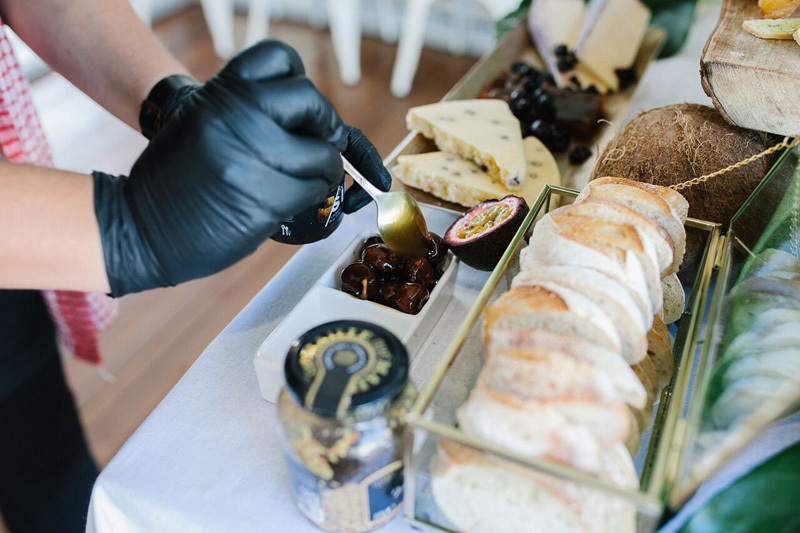 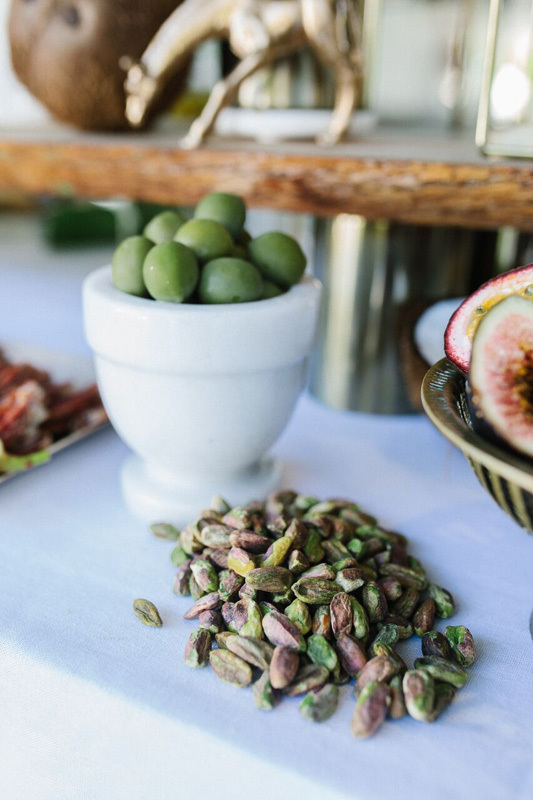 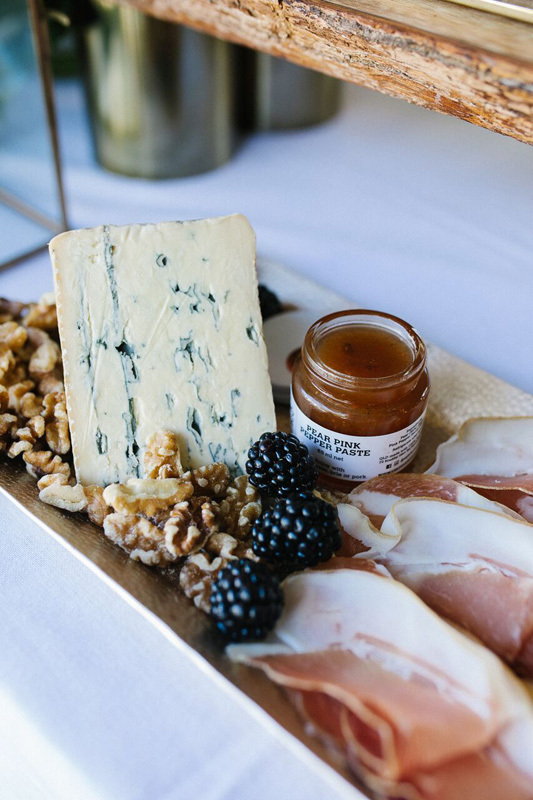 The menu featured a luxurious grazing feast by Lavish Platters, with assorted cheeses, decadent fruits, cold meats, olives and fresh bread. 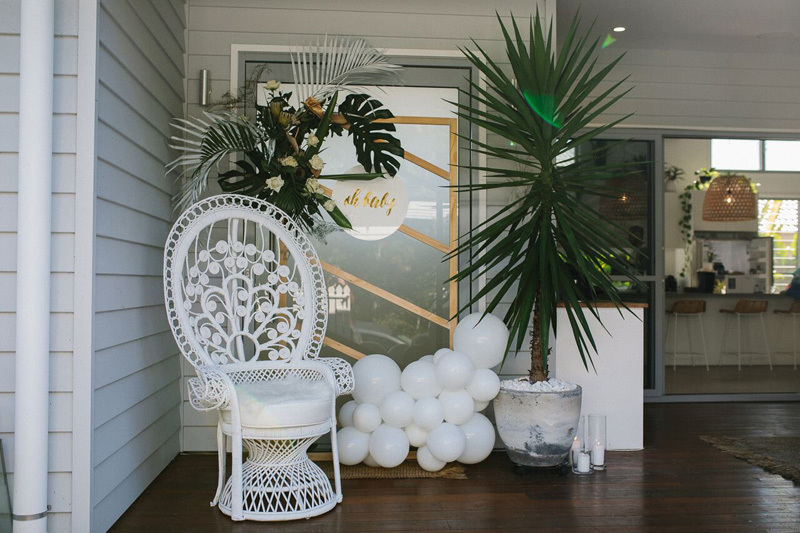 “The whole concept came together so beautifully and the look on my client’s face when she arrived was priceless,” says Anna. 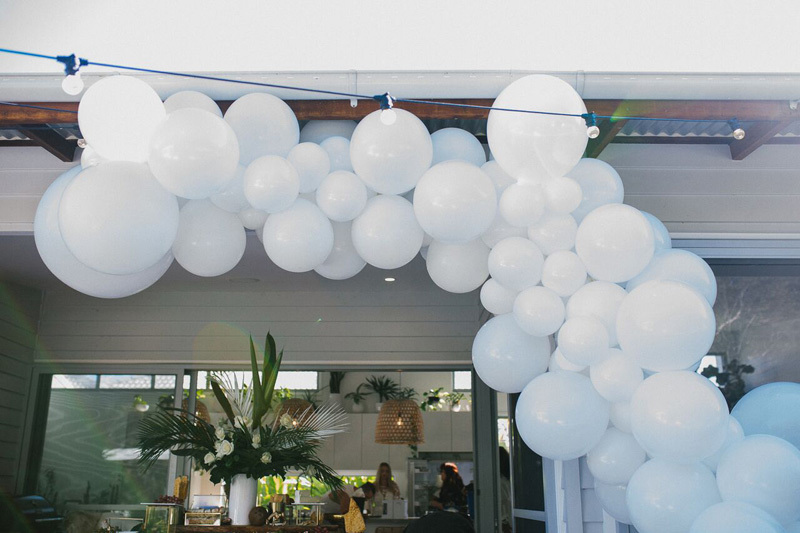 If you’re looking for simple ye,t sophisticated baby shower inspo for a boy or girl (or the unknown! 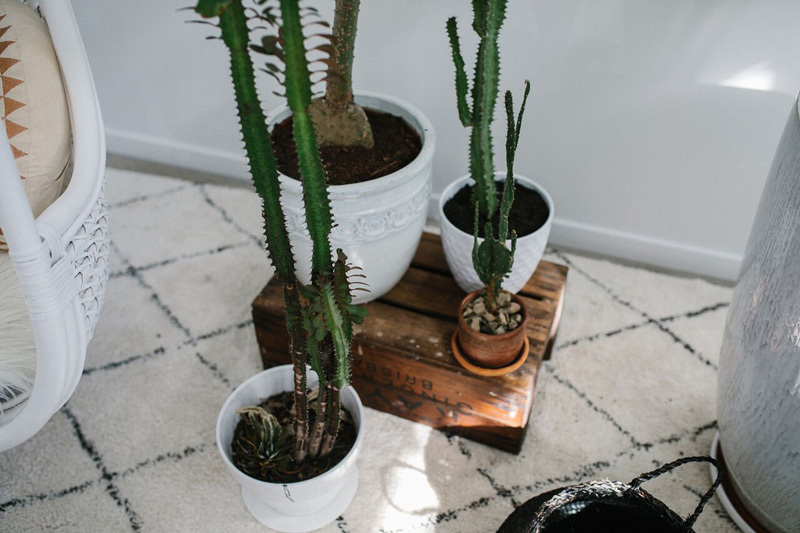 ), keep on scrolling.